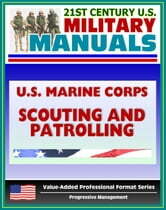 Part of our value-added professional format series of U.S. military manuals, this U.S. Marine Corps manual provides the doctrinal foundation and the tactics, techniques, and procedures for scouting and patrolling conducted by Marines from the fire team to the company level. Although the information focuses on infantry units, much of the information is also applicable to combat support units that are assigned patrolling missions. 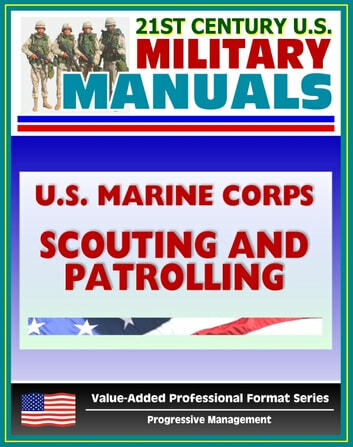 MCWP 3-11.3 provides all Marines with the instructional material they need to build the skills necessary to become effective scouts and patrol team members. This publication provides the fundamentals of scouting and patrolling and their relationship to each other. It also addresses organizational structure of teams and patrols, the training required to develop teamwork, and reporting requirements.